After the flurry of purple excitement during January, The Guardian reports that Prince will return to the UK in May for four shows. UPDATE: Further dates and venue details have now been released. 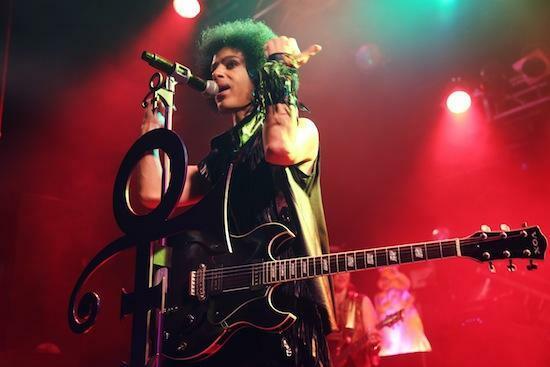 Prince will grace the Birmingham LG Arena on May 15, Manchester Phones 4u Arena, 16, Glasgow SSE Hydro, 22, and Leeds First Direct Arena, 23, and two further venues in Rotterdam and Antwerp. Tickets go on sale at 12 pm on May 2. You can find more information here. Speculation of a Glastonbury appearance and festival slots is also mounting in the wake of the announcements. Start to get excited by reading our reviews of his London shows at the Electric Ballroom and Kings Place and the Manchester Academy.